Coolpad has launched the Coolpad Mega 3 in India alongside another smartphone, the Coolpad Note 3S. The Coolpad Mega 3 is quite exceptional in that it has a dedicated triple SIM slot with another separate slot for an external microSD card, something I haven’t seen before in a smartphone. The Coolpad Mega 3 is a budget smartphone with other exciting features like 4G LTE network connectivity, a strong battery and good performance. The Coolpad Mega 3 comes with a 5.5-inch display which has an HD (1280 * 720) resolution and a 73.5% screen-to-body-ratio. Though the body of the smartphone is made of plastic, it has been designed to feel like a premium device in the hands. Under the hood, the Mega 3 is powered by a MediaTek MT6737 processor with four processing cores and a speed of 1.25GHz. The processor is assisted by a Mali-T720 GPU to make sure graphics operations are carried out seamlessly. The phone has a 2GB RAM and 16GB internal memory which is expandable up to 64GB with an external microSD card. 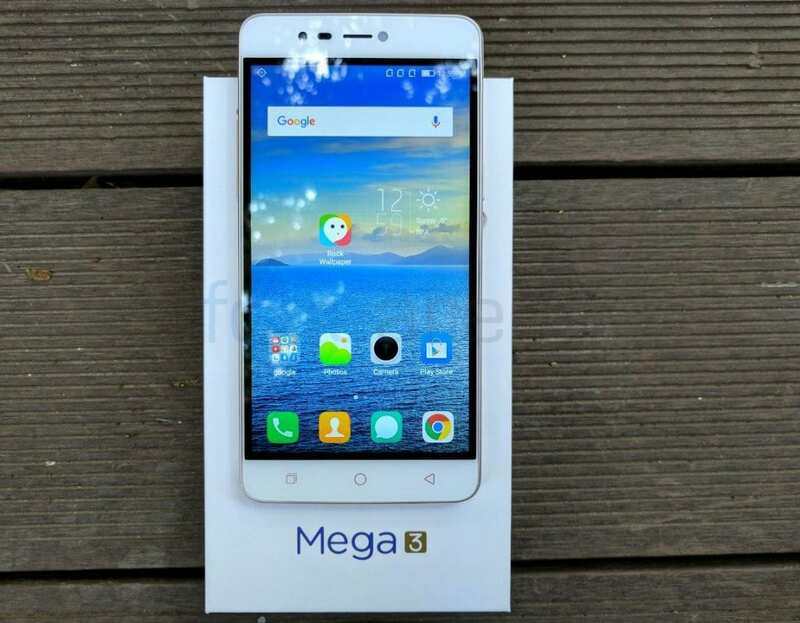 The Coolpad Mega 3 sports an 8MP camera with autofocus and a LED flash at the rear, while the front has the same camera setup with an 80.1-degree field of view. It packs a 3050mAh battery and supports 4G VoLTE via a triple SIM slot. The Coolpad Mega 3 is compatible with USB OTG and runs on Android 6.0 Marshmallow with CoolUI 8.0 layered on top. SIM Type: Triple SIM slot. Dimensions: 154.4 * 76.8 * 8.35 mm. Colours: Gold, Grey & White. Processor Name/Technology: 64-bit MediaTek MT6737. Rear: 8 MP, Autofocus, f/2.2 aperture. Front-facing: 8 MP, f/2.2 aperture, 80.1-degree field of view, LED Flash. Battery: Removable Li-Po 3050 mAh. The Coolpad Mega 3 was launched in Gold, Grey and White colour versions and would be sold for Rs. 6,999 exclusively on Amazon India from the 7th of December.